Go to Twitter.com and sign up. You do not need to put in your real name or email address, though you do need an email address to verify your account. Or, simply use a throw-away email account and email your Twitter password to yourself. We’ve categorized some of the most popular Twitter accounts below. Note that some accounts may appear in more than one category. There are many great blogs that will present their research on a company. Some Twitter accounts will curate that material, remove the chaff, and link to the most interesting content. Think you or someone else should be added to one of these lists? Shoot us an email! we plan on keeping this updated. If that’s not enough for you, check out fintwit.co. That website has a list of many handles and links to curated lists of users by Barbarian Cap, Brattle St. Cap, Groditi, Market Folly, and more. Note that you can Subscribe to a list on Twitter, so you don’t actually need to follow every single member on a list manually. 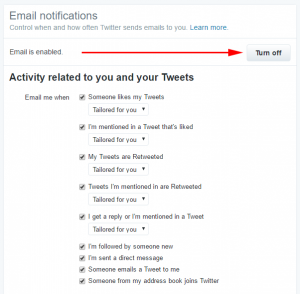 Or, you can simply go to the list and manually read the Tweets without subscribing to that list or following any users. Twitter gives a very different take on the news because you can easily follow and unfollow users to customize your Twitter feed. Having peers curate content for you (via tweets and retweets linking to content) is a great way to improve the signal-to-noise ratio of what you read. Twitter users are not beholden to publication cycles, so there is no filler content on a slow news day. Dip your toe into the pool already! See if finance Twitter suits your tastes. And of course, we’re on Twitter too! Please feel free to follow us (@Sentieo) to see what we’re up to. Lastly… if you know somebody who might find finance Twitter useful, let them know and forward them this guide!